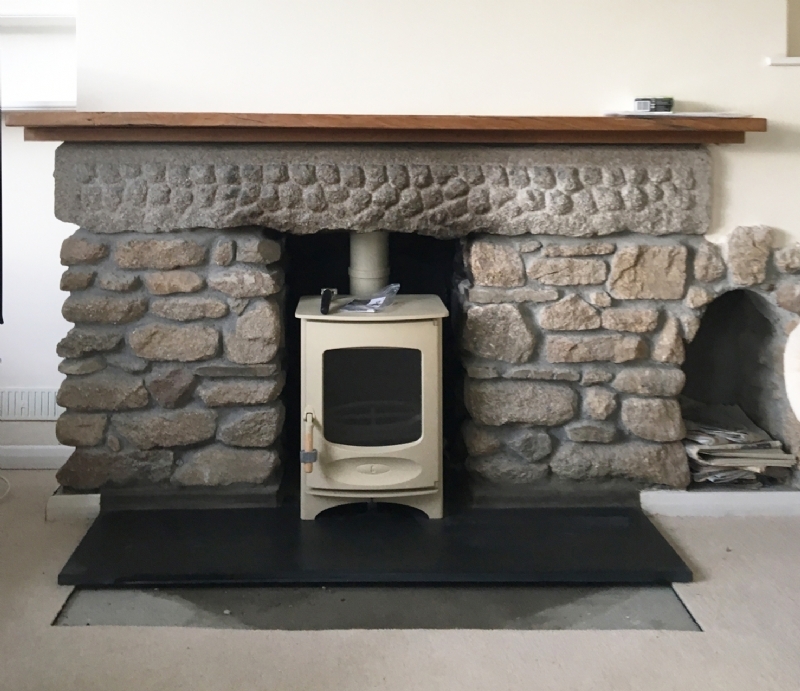 Charnwood C4 in a cosy stone fireplace wood burning stove installation from Kernow Fires. 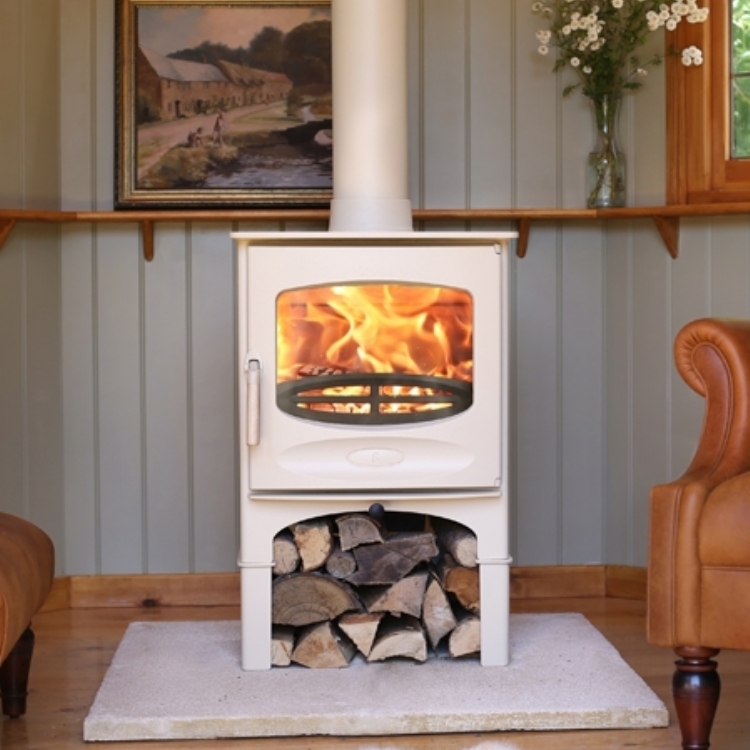 The Charnwood C4 is a compact little stove giving off about 4kw of heat. 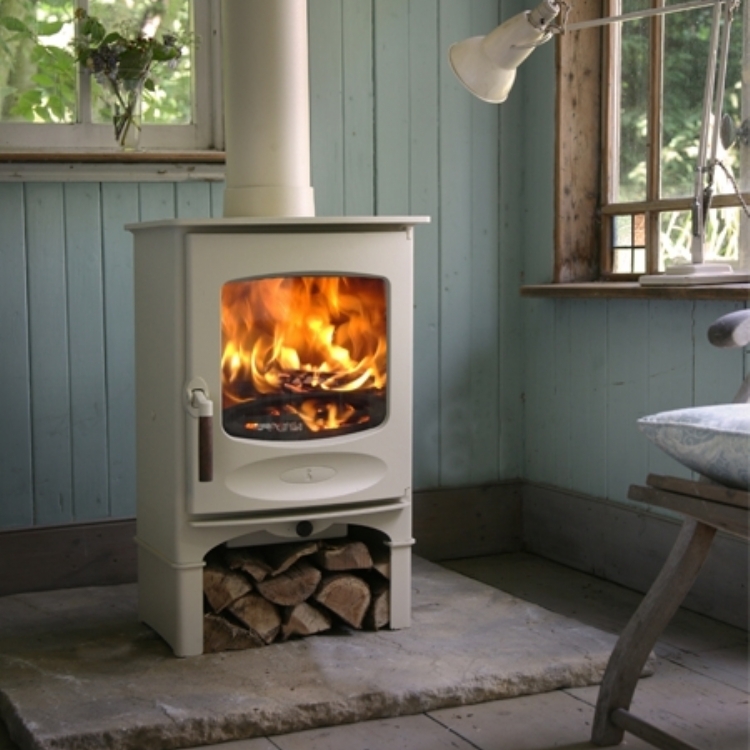 Charnwood also offer a range of paint colours for their stove of which this light cream is one of the more popular ones after black. 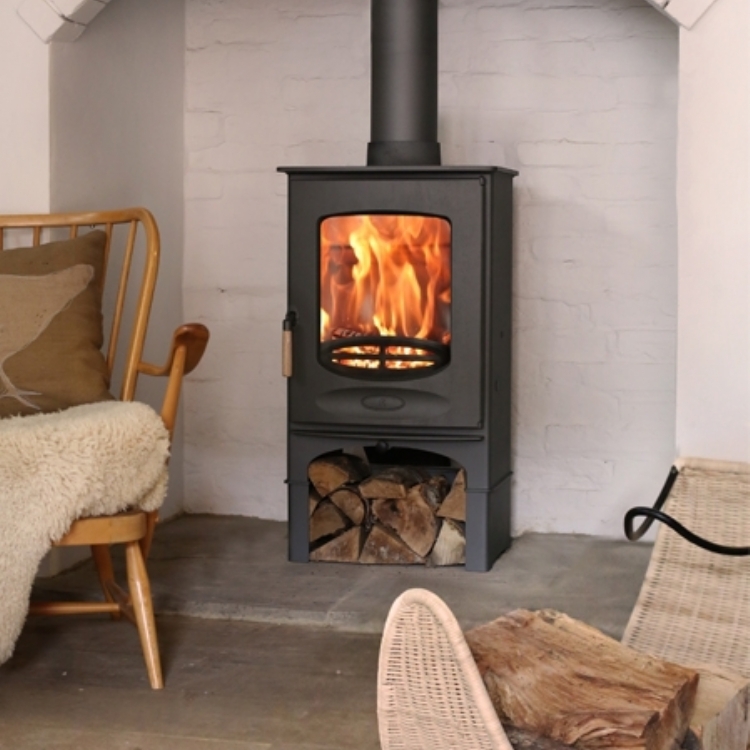 The new hearth is actually more compact than the original so a new carpet is also required!